Follow the instructions, enjoy and create! Step 1: Collect from Pinterest beautiful prints/texts, or just create your own!!! Step 3: Unfold the tissue paper and place it over the A4 paper. Fasten the perimeter of the tissue with masking tape. Step 4: Print on this tissue paper your texts. Step 5: Cut these small patterns. Keep only the top layer from each tissue part. 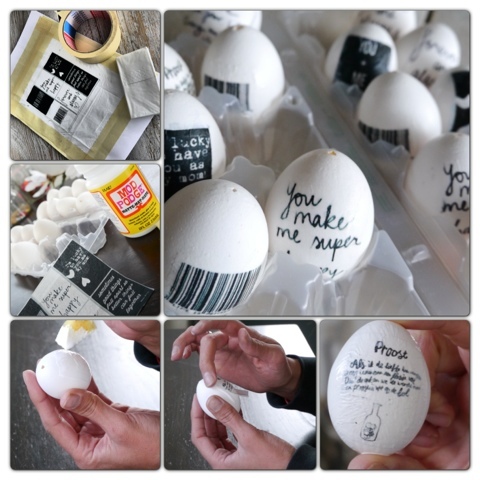 Step 6: Apply Mod Podge glue at the middle of the decorating egg, at the place you want to place your pattern on. Step 7: Lay carefully the printed little piece of the tissue over this spot. Place it from top outward (pressing with your fingers) in order to avoid air bubbles. Step 8: Apply a second layer of glue on the edges of the pattern. Allow to dry. 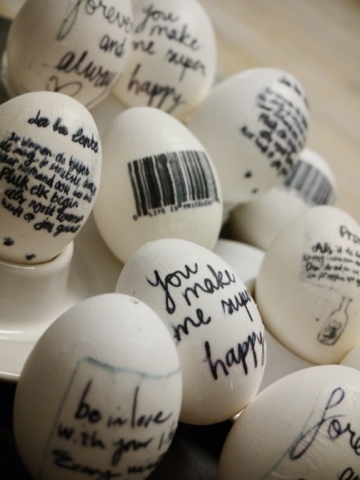 They look lovely, did a post recently on decoupage eggs using newspaper. Happy Easter! 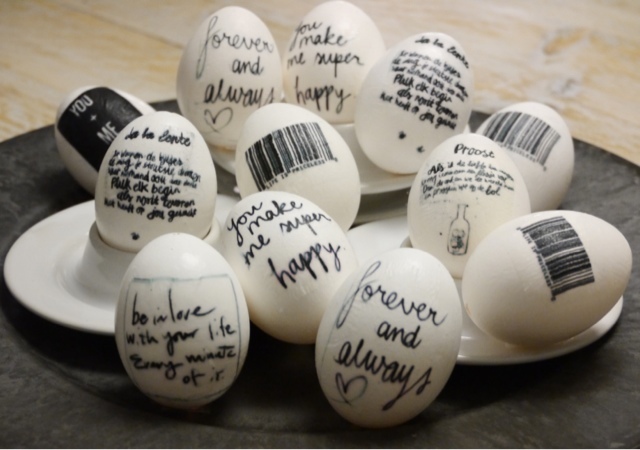 Great idea, have a lovely Easter.